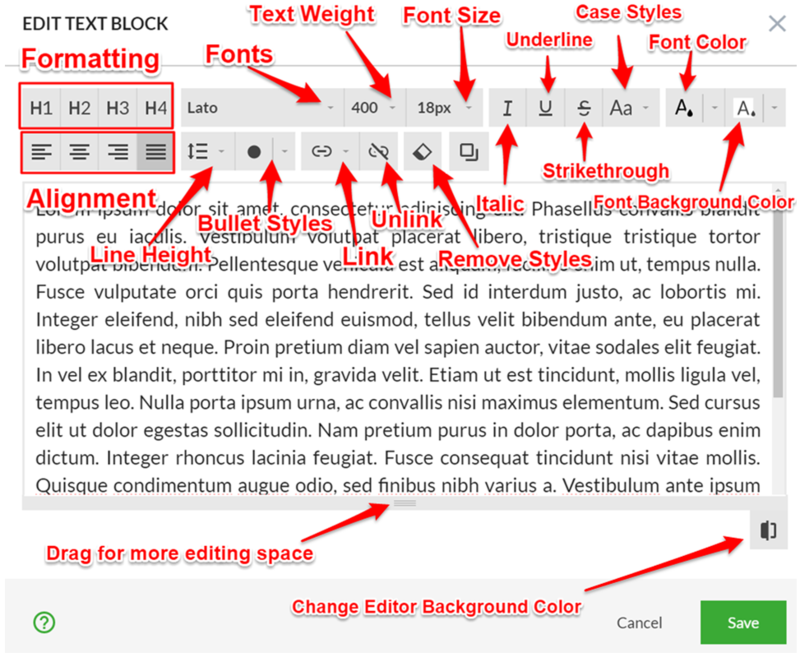 Text elements can be edited in the convenient WYSIWYG-editor which not only provides you with the ability to set any desired text formatting, but also gives you a way to add links to the text, including the option to anchor text links to any other block on the page. In order to set/change the text formatting, you need to first select the desired portion of text and add/remove the desired formatting using the tools available on the WYSIWYG-editor's panel. The "Remove Font Style" action (eraser icon) allows you to remove all applied formatting from the selected portion of text and set the default formatting instead. The "Copy Paragraphs With Styles" action (duplicate icon) allows you to copy text with all of the formatting left intact when pasting into another block's text element. The "Link"/"Unlink" actions allow you to add a link to a desired portion of text or remove it from the text respectively. 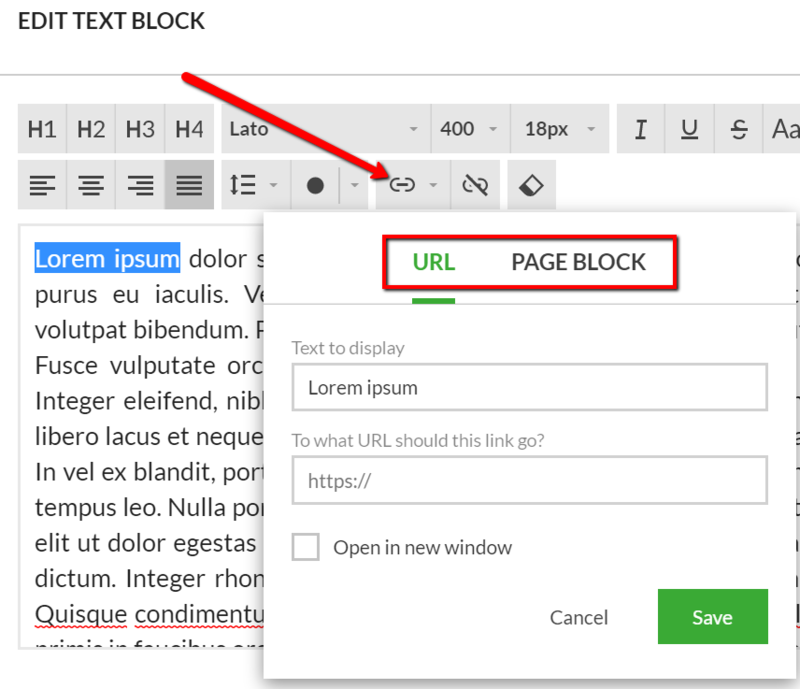 In addition to linking to a URL, you have the option of linking to any other block on the page by selecting the "Page Block" option. You also have the option to "Open in new window" or leave the visitor on the same page once the link is clicked.